Works in both UV- and LED lamp. Use a buffer block to buff the natural nails slightly. cleanse the nail plate. Apply Superbond and let dry 20 seconds, Apply 1 layer of Gel Polish Base/Top coat and cure for 2 min in a 36Watt UV light or 40 sec in Lilly Nails UV/led light. a slight sticky layer will remain. Apply 1 layer of GelPolish Color and cure, repeat with a second layer and cure. Apply a last layer of Gel Polish Base/Top coat and cure for 2 min/40sec. Clean the nails with cleanser. 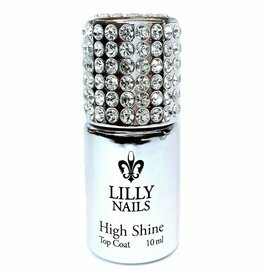 Finish with Lilly Nails cuticle Oil and hand cream to moisture the skin and cuticles. Recommend the customer to use cuticle oil regularly for a durable and good looking result. Apply a thin layer of superbond after prep. Allow to dry for 20sec. Wipe clean with cleanser after filing. Then follow Instructions for Use.